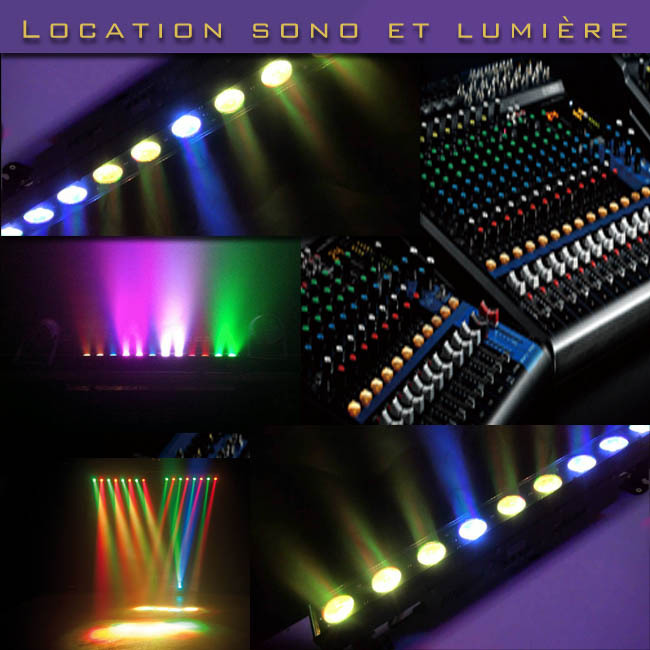 Professional PA and lighting system hire in France. Are you on the lookout to hire a professional PA system and lighting in France? Are you a band coming to France to perform but have no sound system, or parhaps your hosting a party, event or seminar and need to hire professional equipment? Allen & Heath QU16 16 Channel Digital Mixer with onboard effects. QSC K-Series with 18" Subs and tops Totalling 6000 Watts, active fullrange speakers. DBX DriveRack PA2 Digital speaker management system (amazing piece of kit). RANE C4 Quad Compressor / Limiter / Dynamic Equalizer. Shure SM58 Microphones cables and stands. 3X AMD Mega Tri-Bar - Lighting. Volkslaser EvoCube 1000 RGB - Professional laser. We also have a fog machine and 4 smaller LED cans for ambiance lighting included. Contact us for details.